An updated depiction of contemporary urban analysis, inspired by the great Patrick Abercrombie. Unique plans and essays of 40 cities across the globe by local architects, urban designers and schools of architecture. 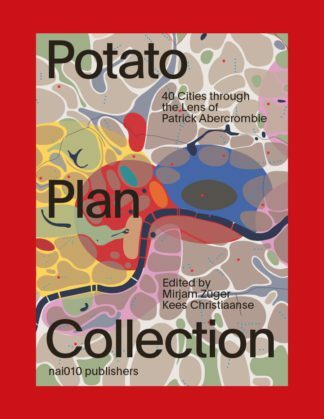 This book ‘The Potato Plan Collection’ celebrates Patrick Abercrombie’s famous ‘Potato Plan’ and reveals its potential as an analytical tool for contemporary urban territories. Originally drawn in 1943 as part of the County of London Plan, Abercrombie’s Social and Functional Analysis Map poetically illustrates the city as an agglomeration of manifold neighbourhoods, character areas and centralities. This book gathers together 40 specific ‘Potato Plans’ from various metropolises all over the globe that were drawn and interpreted by local architects, urban designers and schools of architecture. The aim is to investigate the nature of neighbourhoods and centralities and their role in cities with different configurations and properties. By doing so, the book presents an updated depiction of contemporary urban analysis, inspired by the great Patrick Abercrombie.